“I ask for your prayers this morning,” Eyman wrote ahead of the hearing. The prayers went unanswered. Eyman lost. Thurston County Superior Court Judge James Dixon ruled Friday morning that Eyman could potentially be punished with a lifetime ban on managing or directing the finances of a political committee. At issue was Attorney General Bob Ferguson’s long-running lawsuit against the anti-tax activist. Eyman had filed a motion to have the potential punishment thrown out, arguing that it would be an unconstitutional infringement on his First Amendment right to speech, and that even the possibility of such a ban was having a chilling effect on his ability to fund ballot initiatives. 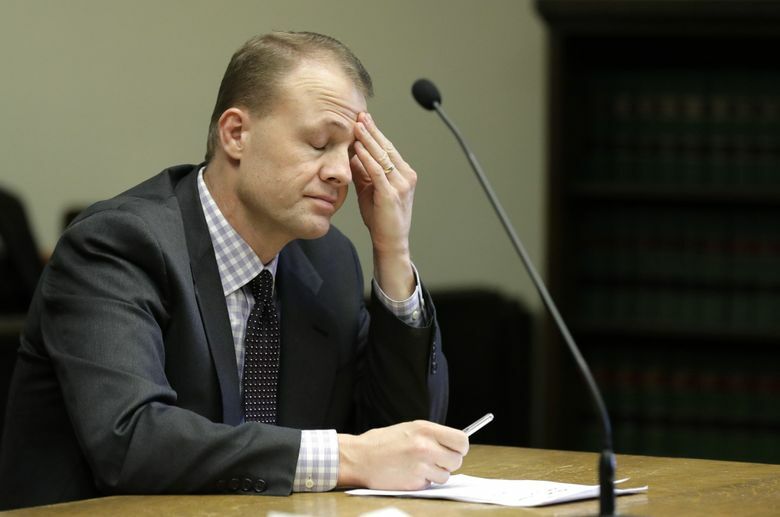 As it became clear that Dixon, speaking from the bench, would rule against him, Eyman, sitting alone at the defendant’s table, without a lawyer, bowed his head and slowly, repeatedly, shook his head no. Ferguson first sued Eyman in 2017, claiming that he had violated state campaign-finance laws and covertly used his initiative drives to enrich himself. Eyman’s anti-tax ballot measures have made the former watch salesman an unlikely political powerhouse in Washington for more than two decades. Friday’s court hearing didn’t address any of that. It was only meant to settle whether Ferguson’s proposed punishment — the lifetime ban on managing the finances of political campaigns — could remain a possibility. Eyman said the threat of a lifetime ban was already chilling his political speech. He said a donor had left him $91,000 in his will, but left it contingent on Eyman’s ability to do ballot measures. So, Eyman said, the potential donation waits, unusable, while his case plays out. He accused Eyman of acting as “shadow treasurer” for all his PACs over the last 20 years. Dixon slowly and deliberately read his decision from the bench, immediately following the arguments. He denied Eyman’s request to have the potential punishment thrown out, emphasizing that he would not decide on any punishment until the actual facts of the case were settled. The $91,000 that Eyman said was unavailable to him, because of the “chilling effects” of the potential punishment did not affect Dixon’s decision. “I’m not swayed by what happens in the event this court were to make a particular ruling,” he said.